Tuwayha - who is not thought to have links to any militant groups - told the military court in the capital Amman he had opened fire after hearing gun shots. But the US embassy said the trial had confirmed Staff Sgt Matthew Lewellen, Staff Sgt Kevin McEnroe and Staff Sgt James Moriarty "had been following procedure" when they were killed, according to the Associated Press news agency. The US soldiers' family members were in court to hear the verdict on Monday. 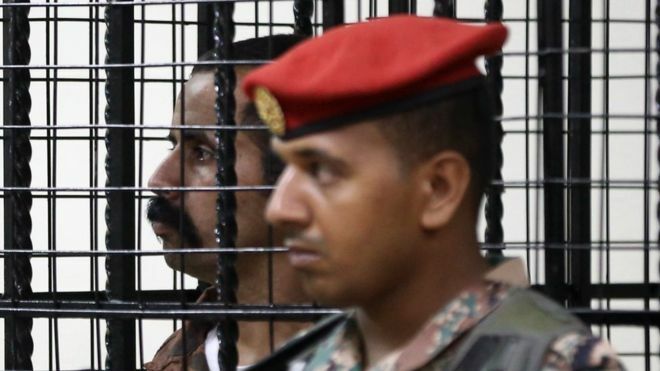 Staff Sgt Moriarty's family had already expressed dismay at the prospect of a life sentence for Tuwayha, which is likely to be reduced to 20 years with good behaviour. His father Jim described the sentence as "only the first step" in a letter to the Jordanian embassy on Monday, the AP reported.